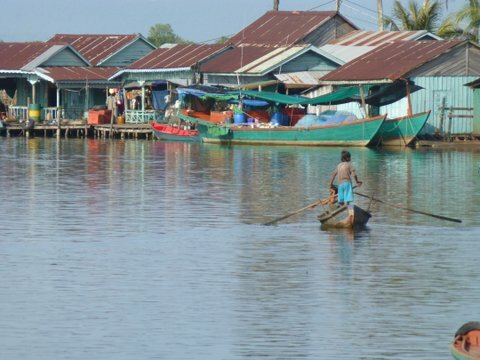 In some places, the Cambodian coast highway passes just a few meters from the edge of the sea. 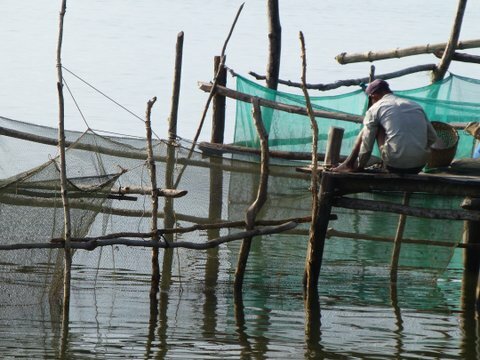 We watch a fisherman preparing bait and tending his nets. -k.
"Travels with Willie is one of the rare bike books that gets it right."